What is the maximum age/height that a child can fit somewhat reasonably (for short trips) in the back of a 997 or 991? 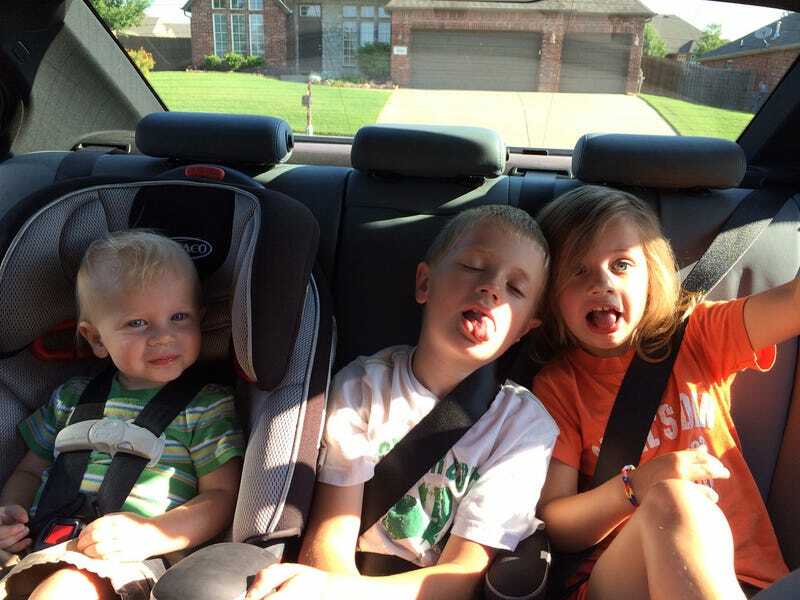 The adorable knuckleheads pictured above are my progeny, currently 8, 6 and almost 2, and I'm just wondering if a used 911 should be on my radar for the years after car seats and before high school. I'm 6'1", with a 34" inseam. Can a human (with legs) sit behind me in this car?